Robert Leighton was born on July 26, 1919, in Redfield, South Dakota. He enlisted in the South Dakota National Guard on October 8, 1938, and went on active duty in the U.S. Army Air Corps on May 24, 1939. MSgt Leighton served as a Crew Chief and Flight Engineer before receiving his commission as a 2d Lt in the U.S. Army Air Forces through Officers Training School at Miami, Florida, on January 29, 1943. Lt Leighton served as a C-69 Constellation and B-29 Superfortress Flight Engineer for the rest of the war in the United States, and he left active duty and entered the Air Force Reserve on December 6, 1945. He returned to active duty in the U.S. Air Force on June 5, 1952, and then served as an RB-36 Peacemaker Aircraft Performance Engineer with the 718th Strategic Reconnaissance Squadron at Ramey AFB, Puerto Rico, from June 1952 to January 1953. Captain Leighton next served as an RB-36 Aircraft Performance Engineer with the 73rd Strategic Reconnaissance Squadron at Ramey AFB from February 1953 to June 1955, followed by service with the 60th Strategic Reconnaissance Squadron at Ramey from June to November 1955. He served as a B-36 1st Engineer with the 325th Bomb Squadron at Fairchild AFB, Washington, from December 1955 to December 1956, and then attended Navigator Training with the 3606th Navigator Training Squadron at Ellington AFB, Texas, from January to November 1957. 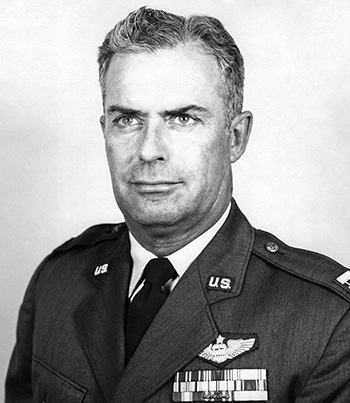 Captain Leighton attended B-47 Stratojet Combat Crew Training at Mather AFB, California, from November 1957 to June 1958, and then served as a B-47 Navigator with the 490th Bomb Squadron at Dyess AFB, Texas, from June to December 1958. 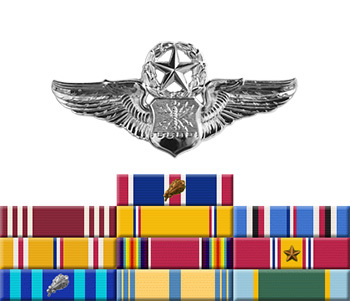 He then served as a KC-97 Stratofreighter Navigator with the 11th Air Refueling Squadron at Dyess AFB, Texas, from December 1958 to June 1960, and at Dover AFB, Delaware, from June 1960 to June 1965. Major Leighton's final assignment was as a Staff Maintenance Officer with the 1607th Field Maintenance Squadron at Dover AFB from June 1965 until his retirement from the Air Force on December 1, 1965. After retiring from the Air Force, Robert worked for many years as a truck driver. Robert Leighton died on April 26, 1997, and was buried at Elmwood Memorial Park in Abilene, Texas.